On Friday, I sent out a "tweet" to the seniors reminding them that today marks the beginning of the last 20 weeks of their high school careers. The message was for them to enjoy the time, finish strong, and prepare for what comes next. What ensued was a string of "likes", some from seniors, but many more from graduates who have "crossed the bridge" to use a Scout term. I feel that there are many former students out there (and parents) who were happy to graduate and go to that next level, but also have really good memories of their time here and are proud of their roots. That is what it is all about! We do see this pride all over the place, like paw prints on the backs of cars, and seemingly every type of Wildcat clothing that one can imagine. It is our brand. It identifies us as being a part of something special. Senior Brianna Orendorf was at the Rosamond Gifford Zoo recently and snapped this picture of a real "Wildcat". How cool is it that the portrait of this magnificent animal really lines up to how we identify ourselves?!? Great job Bri, and let's keep that #Wildcatpride alive! Athletic Pride: Speaking of pride, I would like to introduce you to senior Sangu Mbekelu. Sangu was recognized over the weekend at the CNY National Football Foundation and College Hall of Fame Scholar Athlete Awards Dinner. Was it for the most tackles? No. Maybe the most yards from scrimmage? No. How about the most number of receptions or interceptions? No and No. Sangu was recognized for his academics, and for being an outstanding and selfless teammate. He fulfilled many roles on the team and worked relentlessly to be the best player and teammate he could be. 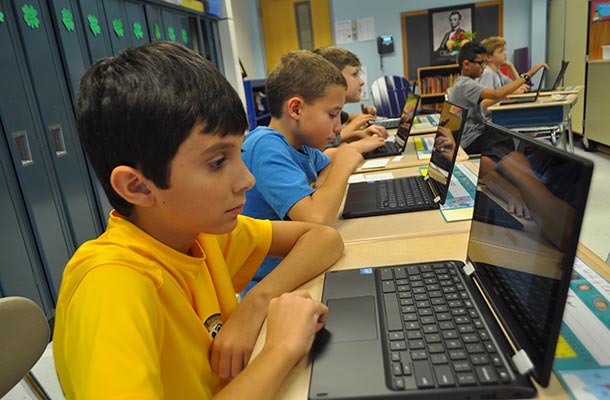 His academic schedule was rigorous and challenging; he is in many advanced and college level courses, and he has achieved high 90's in all of them. He set an example for our younger players to take pride in their roles and work at them to ultimately impact the people around them in a positive way. The man in the picture with him is Mark Ferrante, head football coach at Villanova. Congratulations Sangu! 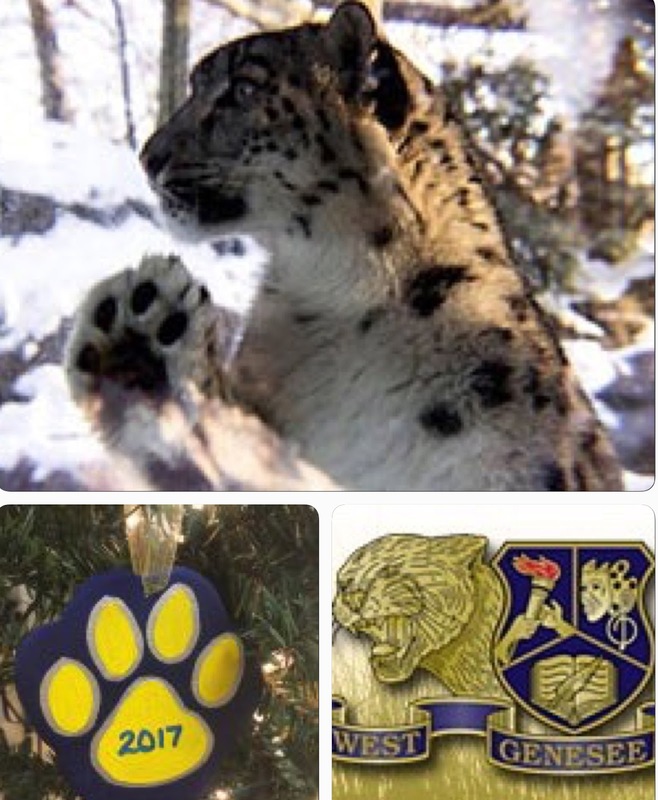 Changes in Administration: We do have a Wildcat who will be moving on from our family. Executive Principal Geoff Morton will be realizing a career-long dream of being a district-level administrator by taking on the Director of Pupil Personnel Services position for the Hamilton Central School District. I have never been one to hold someone back from doing what they want to do in their career, and we wish Mr. Morton well. We are fortunate to have an Executive Principal in waiting at the high school. Her name is Shannon Coholan and she has been our 12th grade Principal for two and a half years. She is a product of the Le Moyne College Teacher Leader Program and is also a recent graduate of the SUNY Oswego Superintendent Development Program (a program not just for people who want to be Superintendents, but for people who want to be the best all-around leaders they can be). You may have also seen her featured as the "Educator of Excellence" on CBS5 (http://cnycentral.com/news/educator-of-excellence/cbs5s-october-educator-of-excellence-west-genesees-shannon-coholan) after being recommended by many of her peers and students. She is also the co-leader of the West Side Support Network (formerly known as the Community Coalition on Substance Abuse). If you or your children have been in involved in the Halloween Carnival, Respect and Responsibility Club, Culture Fair, Race for Respect, or any of the recent speakers at the high school, then you have been a part of her work. She is well respected by parents, staff, and most importantly, the students. How do I know how the students feel about her? When I was sitting with the Wildcat Nation at the basketball game on Thursday, word was starting to spread about the change, and I was made to promise repeatedly that "yes, Ms. Coholan will still work with you as seniors right through graduation." We are in good hands. This change actually begins today so that Ms. Coholan can sit on the Strategic Planning team which meets for 2 days this week and helps to set our course for next year. Mr. Morton also wore two other hats. 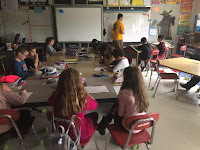 He was our 504 Coordinator (504 plans are developed for students who have long-term education and life-altering medical conditions) and was also our Director of Secondary Education (a role to help us properly transition students from 5th to 6th grade and from 8th to 9th grade). 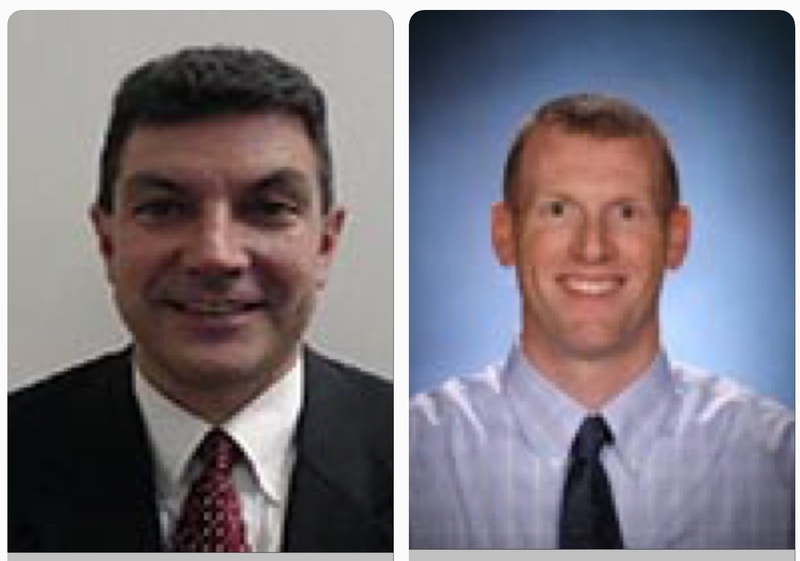 We have tapped our current Director of Staff Relations, Dave Cirillo, to take on the 504 piece; and West Genesee Middle School Principal, Steve Dunham, will be the Director of Secondary Education. This breakout of duties will help us to operate and deliver services in all areas in a much more efficient manner and plays to everyone's strengths. We have advertised for a replacement 12th grade principal and hope to have that process completed by March. Congratulations to all! I was hoping for a weekend weather extension, but my wish was not granted. Oh well. At least we are headed into February! I hope you had a great weekend and that you enjoyed the awesome but probably short-lived "heat wave". I am not quite ready for grandkids, so it was great to get down to Cincinnati to visit with my brand new niece. I forget just how small and soft new babies are, but they sure are relaxing to hold! When I hit the ground and hopped into an Uber on Friday, the streets were like a ghost town. I asked the driver what was going on and he said that the 1" of snow they had gotten had closed most everything. Could you imagine if we closed schools every time we got 1" of snow! Keeping Busy: We had an extremely busy weekend back here and it was nice to have Twitter to keep track of it all. Our Academic Decathlon team placed third and earned another trip to the state championship which was exciting, and we had several students compete and find success in the written portion of The Post Standard/Syracuse.com/WCNY Spelling Bee. The Academic Decathlon Team competes for the state title on February 23-24 and the next round of the Spelling Bee is on February 10. Congratulations to all, and I am looking forward to following their successes. We also had all kinds of sports in competition over the weekend so my phone kept blowing up with scores and highlights. Wrestling, Track, Boys Basketball, Girls Hockey, and Cheerleading all had some very exciting moments; and Girls Basketball, not afraid to play anyone, fought hard against the sixth-ranked team in the state. Good stuff! Skating with the Team: The Boys Hockey team did not play over the weekend, so I took the opportunity to skate with them at a practice late last week. Now, mind you that I do not skate really well, I can't "chop stop", and I can't skate backwards, but the kids asked me to come and skate with them and I did not want to miss that opportunity. Let me tell you that I was pretty terrified. Those kids are good. They are fast, skilled, and strong. Coach Colabufo kept me out of harm's way by having me help with some drills. I had a blast. I did tell the boys in the huddle that I wanted to be with them because you have to follow through on what you say you are going to do in life, and every now and then you have to get out of your comfort zone in order to get a new appreciation and perspective on life. Check and check. Set, lighting, and sound preparation continue for the high school musical Anything Goes, and music students continue their preparations for college entrance. On Thursday, I visited with students in the music wing and as we entered the auditorium, there were about 50 students in the seats. As I spoke with them and asked them why they were there, the students told me that they wanted to support their classmates who were practicing their college auditions. How cool is that? An Important Message: My message of the week? You are the average of the five people you spend the most time with. Where did I get that? In a Lyft on the way to an SU game when I asked the driver, who told me he was a motivational speaker by day and Lyft driver by night. He said it again, and it started to sink in. He got it from world-renowned speaker Jim Rohn and basically it means that we are (no matter how type A we think we are) influenced by the people around us and the more time we spend with people, the more their values and ideals and character seep into our thoughts and actions. I really had to think about the five people I truly spend the most time with, and what influence they have had on my personal and professional development; both positive and negative. While my "five people" are all generally like-minded to me, some have traits and backgrounds that I don't have. I learn from them, and I think that helps me to be a better person (with plenty of room to grow) every day. Very interesting stuff, and as I reflected on my life, a few of those "five people" have changed over the years, and now I really understand why. Here is a link if you would like to read more: http://www.businessinsider.com/tim-ferriss-average-of-five-people-2017-1. What is also interesting is our new website, which will be launched later this week. Huge thanks to Bonnie Russell for her work in helping us to make the upgrade. The new site will work much better on ANY device and we worked hard to ensure that the pages are accessible by the visually and hearing impaired (a tougher job than you might think). Let's hope we can keep some of this warmer weather around for at least a few more days. Basement wall, barn wall, and side of the house. Making Decisions: We canceled afterschool and evening activities last Friday night and around 6:00 p.m. I was questioning my decision because the weather wasn't all that bad. When I was walking out of the Movie Tavern at 9:00 p.m. after seeing The Post (I thought it was fantastic), I realized that we had made the right decision to cancel everything. 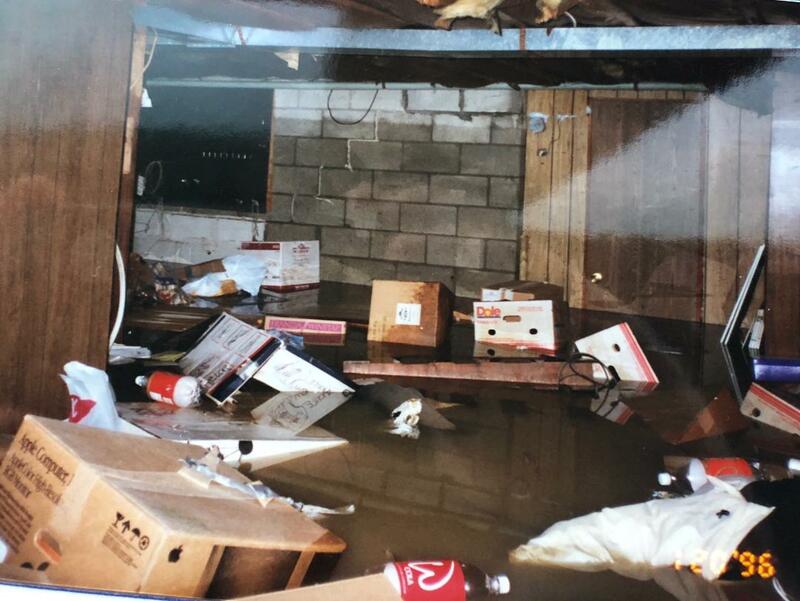 My first house in 1996 the day AFTER the flood. Notice the high water mark on the basement wall. 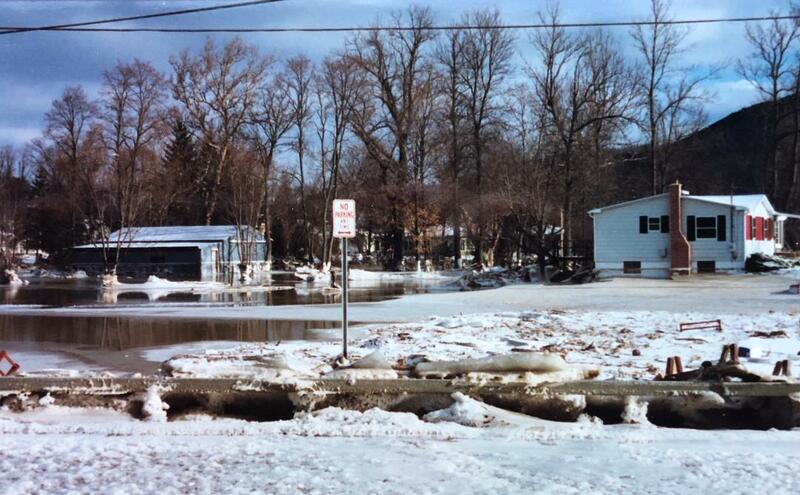 If you have a flooded basement, I feel for you. In the times I have owned homes, I have had six feet, three feet, a foot, and three inches in basements of the homes I have owned. I am going to tell you that the cleanup is nearly the same for three inches as it is for six feet if you have a finished basement. No Power: Earlier in the day, my office, Stonehedge Elementary, and West Genesee Middle School spent the day without power. National Grid was super responsive. When we are without power in that area, it usually means that a squirrel BBQ'd itself on the transformer. Not this time. This time it took hours upon hours of trouble shooting to identify the problem and then overnight to fix it. 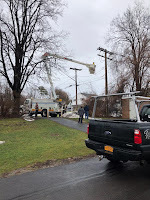 West Genesee Middle School has a backup generator (we will hopefully place generators at the elementary schools during our next project), it was warm out, everyone had running water, and there was enough light, so we decided to make the day as normal as possible. Food service cooked lunches for Stonehedge at West Genesee Middle School and shipped them over; teachers and students carried on; and our custodians and mechanics ran around to provide extra battery operated lights for bathrooms and hallways. 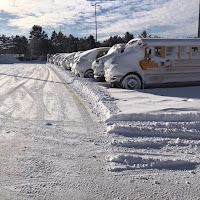 HUGE thanks goes out to the staff in each building, the students, our custodians and maintenance workers, and the National Grid crews for going above and beyond for us. Talk with the Superintendent: On Wednesday of last week, we held the annual "Dialogue with the Superintendent" which was very well attended. 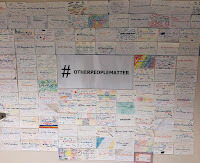 I received a lot of great questions written anonymously on index cards, and I had the chance to unveil the Thought Exchange results for the first time, as well as a brief "State of the District". I think that people really appreciated seeing the impact of their feedback. We received a comprehensive report (http://westgenesee.thoughtexchange.com/card-welcome/welcome/), and reports for each building. Feel free to look at the comprehensive report. The building results will be presented at upcoming PTO/PTA/PTSA/PTSO/SEPTSA meetings. At the end of the day, we had a 3000% percent increase in feedback about our District, which is very impressive. We will use the information we collected in our Strategic Planning process at the end of the month. Whatever makes it through that process will be completed as time and resources permit. Again, thank you for taking the time to provide feedback, it is turning out to be very helpful. 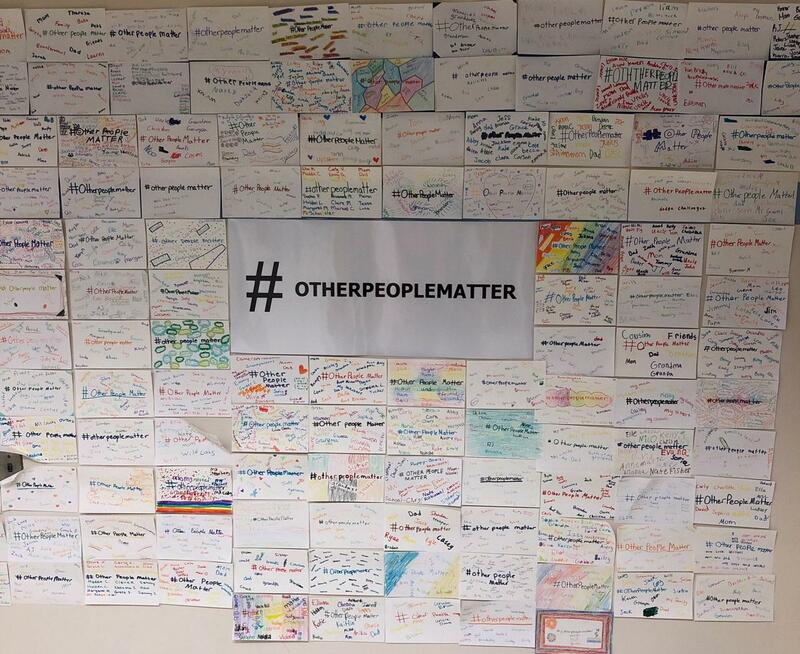 Everyone Can Make a Difference: As we come off of Martin Luther King Day, I wanted to put in a quick plug for why we need to continue to teach that "Other People Matter", as we do as a part of our Positivity Project. Why would you trust or value an opinion about rights and value for all from me? Because we have built a relationship on trust and sharing our different views makes us all grow and makes all of us better. In an era where we watch videos of brutality and maltreatment of people and then question what was edited, or what led to the mistreatment that we didn't see that would in some way justify what happened, I would ask you to consider two very true stories, as seen and heard through my own eyes and ears. I have a very tight inner circle of friends. I have to, due to the nature of my job. One of those inner circle friends is black. We travel together and attend events together. You can call it coincidence, but we are treated differently. At airports, we build in extra time for him to be "randomly selected", while I glide through security. At sporting events that have security, I breeze through the metal detector, while they stop him and wand his whole body. Life changing events? No, but humiliating and unnecessary nonetheless. Not equal also comes to mind. My son has a close friend who lives with us when he is not at college. He is black. Over the summer we ordered take out to be picked up at a very popular downtown restaurant. We went to pick up the food and it wasn't quite ready. I ran into a parent and was having a conversation so my son and his friend went outside to sit and wait for the food to be finished. It was going to be about ten minutes, so when I finished with the parent, I walked outside and there was a person motioning for "Dre" to not sit at his table, and to get away. As I walked over, I asked the person what the problem was (as politely as I could while my blood pressure was rising). He wouldn't talk to me and kept looking away. I asked Dre and my son what the deal was and they just shrugged their shoulders and said that the person wouldn't let Dre sit at his table (a large picnic table with one person at it). A table opened up so we sat down. About five minutes later, the person came over to me and spoke quietly into my ear and said that he didn't want him sitting at his table so that the person's food wasn't "accidentally" given to Dre, or my son for that matter. I responded with "whatever". I turned to Dre and told him I was sorry. He said, and I will never forget, "It's not your fault, this is how it is" in a very depressed voice. If I do not continue to use my voice and platform to bring these situations to light, then it certainly is my fault, just like everyone else's who can make a difference, which is EVERYONE. This is not how it has to be or should be. Before we can truly say that we treat everyone equally, we have to get real with ourselves and recognize that while there we have come a long way, there is still plenty of work to be done. Sad News: Lastly and sadly, our longtime Boys Junior Varsity Basketball and Boys Modified Lacrosse coach Joe Adams passed away after a ferocious fight against cancer. If you never had a chance to meet Coach Adams, you missed out. His players respected him without him having to say a word, they all raised their personal expectations for themselves without Coach Adams telling them that they had to, and he always knew everything about every one of his players. He was a total class act. Even more importantly, he was a tremendous husband and father. Finally, a "warm" spell. 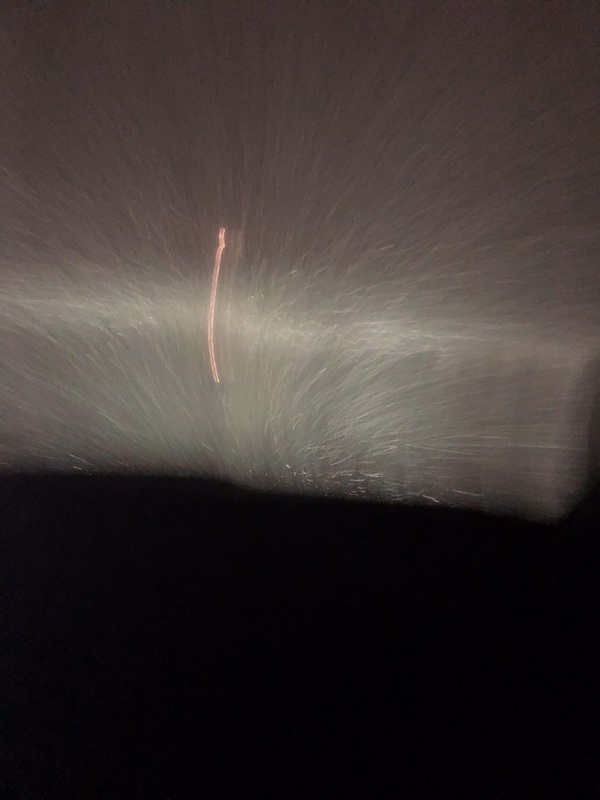 Last week, the roads were simply awful. For only the third time in 18 years (if my memory serves me right) I closed school the night before. It was simply that bad; with no hope of it getting any better until yesterday. That night I drove to Keuka, NY (in the fingerlakes) to watch my son "start" in his college basketball game. It was certainly worth it, but a ride that usually takes about an hour and twenty minutes took two and a half hours. 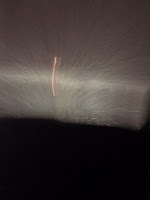 Here is a picture of what I saw on the Thruway heading home around 11:00 p.m. Thursday night. On Saturday, my wife and I went up to the Dome for the basketball game (what a heartbreaker, and SU better get some rebounds or it is going to be a long season), and we were able to walk up the hill from downtown to the game (bundled up of course) MUCH faster than anyone was able to drive. I am glad we went though because we did get to see recent graduate, Caitlyn Barry sing the National Anthem. She still knocks it out of the park! Computers are great things, but they do not understand warm from cold. We program them to lower temperatures in the winter during breaks and weekends when the buildings aren't occupied to save a few bucks. We turned the program off for the weekend, and I am glad we did because I am certain we would have had frozen pipes had we not! We have just over 100 school buses and vehicles. 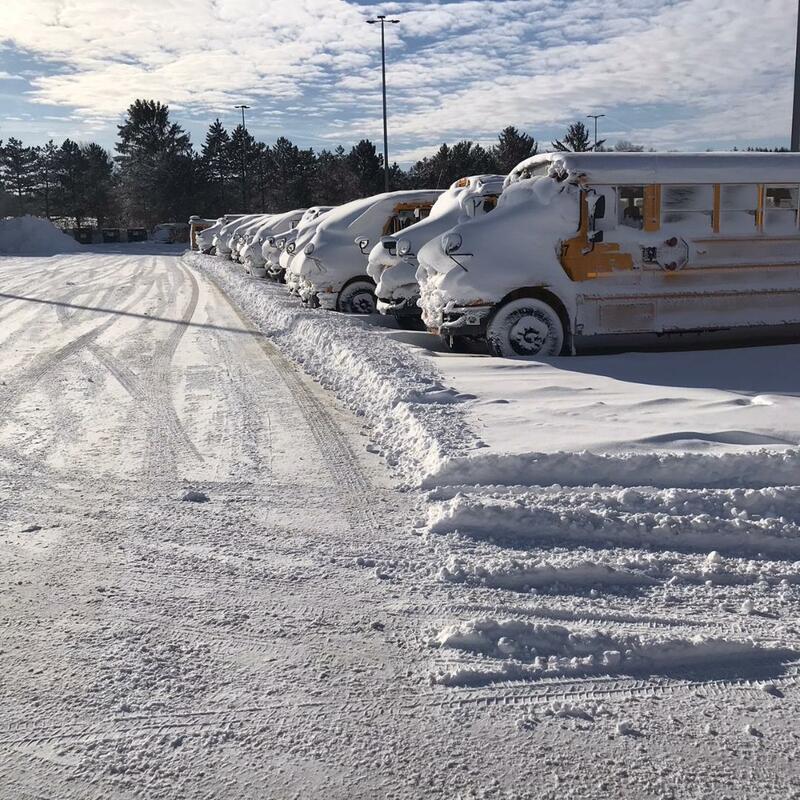 Yesterday, James Dark, our Director of Transportation, several bus drivers and attendants, and our plow crew, spent most of the day getting the snow off of the buses, starting them, and getting the bus lot cleared of snow. There was a lot of snow and without their help and behind the scenes dedication, we would absolutely not have been able to open school today. Wildcat pride was in full effect! I also listened intently to the Governor's State of the State address, Syracuse Mayor Ben Walsh's induction speech (it was the first Syracuse mayoral induction ceremony that I have attended), and Oprah Winfrey's speech at the Golden Globe Awards ceremony. All spoke about challenges and opportunities through their own personal experiences, as well as the lessons that history has taught us. I was really pleased that they all focused on creating opportunities for EVERYONE; which you know is something that is really important to me. I am hoping that their words become actions and that their actions write the history books for our children and our grandchildren. We can only grow as a community through fostering and cultivating our collective diversity and valuing one another as EQUAL; period. 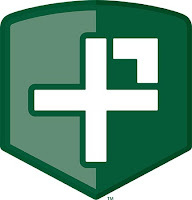 Unfortunately last week, we also had to deal with an employee who chose to participate in some inappropriate activity on the Internet involving children (please see my last post if you are unfamiliar). 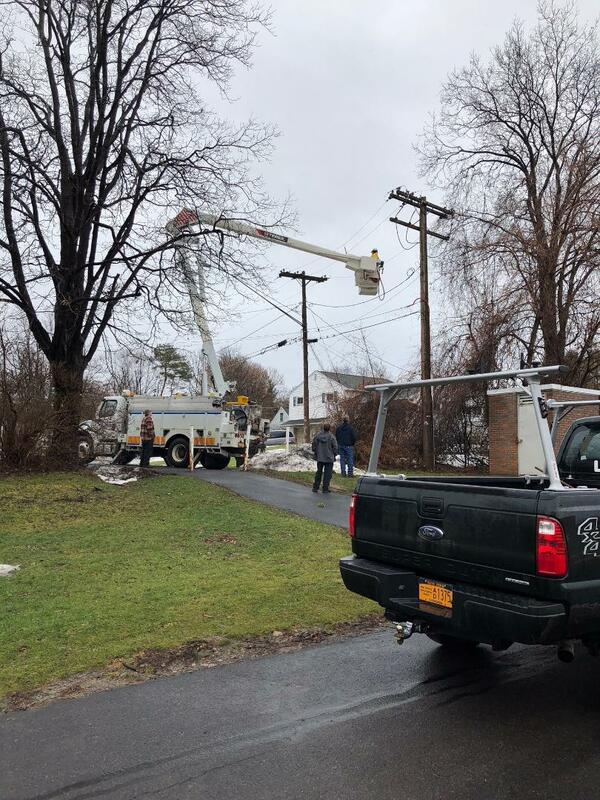 While the situation had nothing to do with West Genesee, the fact remains that he was a West Genesee employee. I was infuriated as you might imagine, since it seems like we have had an abnormal number of these cases over the past four years and I wrestle with what I could be doing differently or better, to keep these people out of our schools. The maddening answer is that I cannot. All of our employees are background checked and reference checked. Bus drivers have the added check of random drug testing. In all cases throughout my career, these criminals have hidden in plain sight; with clear employment records. Many were leaders in other areas of the community, and the reaction to each case has been "shock". I will say that we live in a time when these people seem to be everywhere. I choose to be very transparent with you and the media when one is from our school, and I choose to act very quickly and swiftly. This is not a universal action plan in our society. I also have great working relationships with the Abused Persons Unit, District Attorney's Office, State Police, Sheriff, and Camillus Police, so when a situation comes up we work together to bring justice quickly. We have also worked closely together to ensure the tightest cases possible, and I have lobbied for the longest jail terms possible. In cases involving our own students past and present, they have come forward because in their own words "they know I will do something about it" and I will not disappoint them. What we can do together, and as our children get older and out of our grasp, is remind them to let us know if something they are hearing or reading from someone doesn't feel right, or makes them feel uncomfortable in any way. Until there is a way for all of us to pinpoint these sick individuals before they try to take action, we need to work together in every aspect of a child's life. I will certainly continue to do my part. Busy week ahead. If you have some time on Wednesday at 7:00 p.m., the West Genesee PTA/PTO District Council will be hosting our annual "Dialogue with the Superintendent" at the high school. I regret to inform you that I was notified that school bus driver (since 2016), Jeffrey T. Wright, was arrested by the New York State Police today on charges of possession of a sexual performance by a child, a class E felony, and promoting the sexual performance of a child, a class D felony, stemming from an investigation that took place outside of school. He was placed on administrative leave as soon as I received the information. We have no reason to believe that any West Genesee students were involved, and we are fully cooperating with authorities as they complete their investigation. If you have any information related to this case please call Investigator Thomas Gallery at 315-677-9971. Happy New Year! I hope all of you were able to celebrate, spend some time with family and friends, and relax over the holidays. My breaks are kind of weird and my schedule gets thrown off. There are no classrooms to visit (well, I could visit them, but they would be empty), and much of my time is spent getting my desk cleared off, planning for the late winter and spring, and following all of the holiday tournaments that have become a staple in High School USA. I did get to do some cool things though. We welcomed a new niece (and I get to see and hold her at the end of the month), saw Star Wars (I really liked it) and Jumanji (surprisingly fun) with friends and one of my kids, and celebrated the new year with my wife, close friends, and my other son. The older I get the more I realize that holidays are much less about getting things and much more about the time spent with the people you care about most. Also, congratulations to the Buffalo Bills for making the playoffs. The last time the Bills won a playoff game, I was there and my kids were not born yet. Ugh. Mid-Year Review: It is challenging for me to do a "year in review" because my work "year" starts July 1 and ends June 30. As I read the many posts about new beginnings, weight loss, staying in shape, and all of the other resolutions (mine is to shut my personal Facebook page down for a month), it creates conflict in my head. We are almost exactly halfway through the school year and January through March are really grinding kind of months. Historically, adults are a little crankier this time of the year because of the cold, holiday bills, and overcast skies. Students are a little scratchy because they cannot get outside for recess as often, seniors are applying for colleges, internships and are making decisions about their futures (which is more stressful for them than one might think), and their courses are either going well or need improvement, and the "don't worry mom and dad, it will be fine" time is getting tight, especially for half-year courses. All in all, not a real "new beginning". We are going to work hard this winter to change that, by challenging the norm. We are going to hold some upbeat assemblies with great speakers, organize some pep rallies and spirit weeks, and keep the mood positive. The sun and warmer weather will be here before too long, and it never hurts to remember and recognize how good things are. Planning for the Future: In planning for the rest of the winter and school year, we prepped for "Strategic Planning", did some preliminary budget work, and began to sort through the feedback results from Thought Exchange (which I hope to get out to you this week). 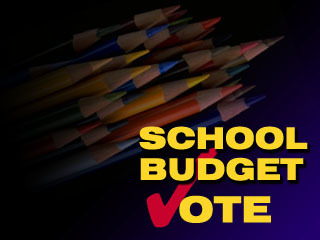 School budgets should be interesting this year. The stock market is doing really well and the tax reform plan is scheduled to provide some income tax relief (but check with your accountant on that), so you would think that building school budgets should be a snap. Nope. Interestingly, most of the large ticket, fixed-cost pieces of a school budget (retirement system payments, worker's compensation premiums, and health insurance premiums) are scheduled to have larger than normal increases that schools will have to wrestle with. On top of that, the Governor has stated that New York State is over $4Billion short in their revenue, and have told schools not to be planning for increases in state aid. Fun! We will be within the "tax cap" as always and will make sure that taxpayers qualify for any rebates that they have been receiving, but the road to get there will be a little more challenging than one would think in an "up" economy. It is what it is. Bring it on! Sad News: Lastly, we were saddened to learn over the break about the tragic and brutal murders of two adults and two children in Troy, NY. One of the victims was a former West Genesee High School student named Brandi Mells. She attended from ninth through eleventh grade and I remember her very well. She had an outgoing, large personality and always had people's attention when she spoke. I am hoping that a thorough investigation can bring some sense to what seems like a senseless act of violence. Simply awful, and another life taken much too early. Thank you for reading and for your unwavering support, and let's have a great January!